Increase your placements by finding the best matching candidates for your job and identify job opportunities in the market to place your other candidates. Textkernel’s business development tools can be integrated with Bullhorn and help you to easily capture candidate data, search multiple resume databases with one click, find better matching candidates, and discover new leads, resulting in an increase in placements. Increase your conversion rate and grow your talent pool. 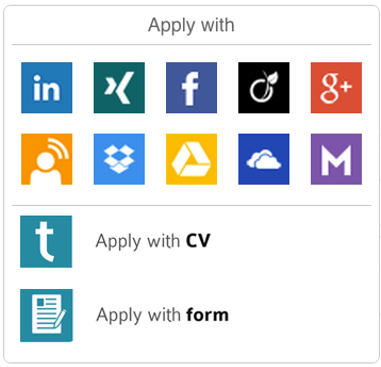 Offer your candidates an easy (and mobile) application process with the Apply-with widget, capture incoming applications from various sources and easily expand your database. Textkernel’s resume parsing software Extract! automatically processes all your candidate data with the highest accuracy with no data entry required from you or your candidates. The software captures applications from your (mobile) career site, job boards and your email boxes and structures and enriches the information, so it can be easily retrieved later. Unlock the value of your past candidates and improve your time to resource. 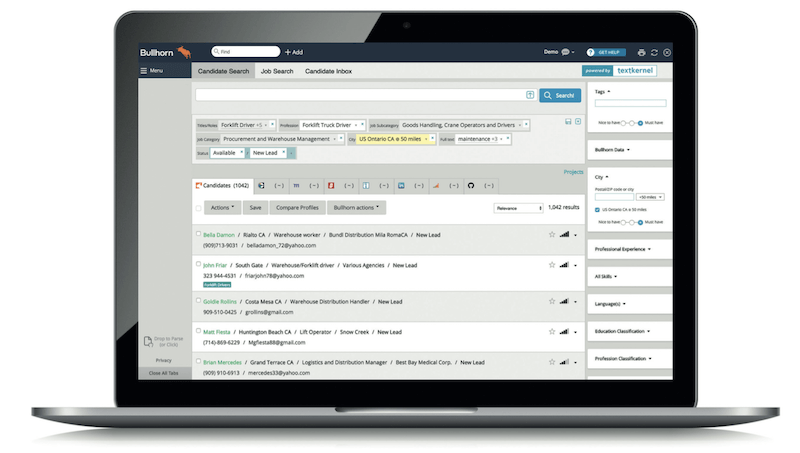 Textkernel’s semantic search and matching technology helps you find more and better candidates faster in your Bullhorn database. Semantically means that you find what you are looking for, not just what you type. You won’t need to come up with synonyms; the technology does this for you. A two-word search instantly becomes a 20-word search, turning every recruiter into a sourcing expert. You can also simultaneously search external databases, such as job boards and social media. You only need 1 search to find the best candidates from different sources. Increase your ROI on sourcing by matching your other available candidates to all direct employer jobs in the market found by our lead-generation tool Jobfeed. Jobfeed collects and categorises online job ads, distinguishes direct employers from agencies, and makes them searchable. Identify interesting job opportunities to place your other candidates and collect background information to help you close the deal faster. Read the full interview with Jon Cox. Contact us to find out how Textkernel’s technology can help you optimise your recruitment process.